First off, Joe Barrett (the narrator) did a terrific job! Perfect man for the job. 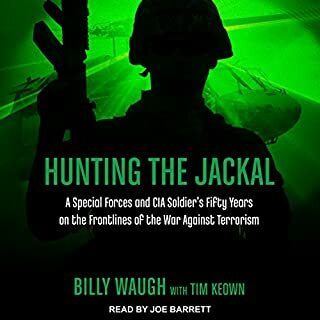 This book gives an insight into Billy Waugh’s life and career with an emphasis on his tracking of Bin Laden and Carlos the Jackal. Excellent book! A must read for anyone interested in military history, Special Forces, and / or the global war on terrorism. A larger-than-life hero with a towering personality, Robin Olds was a graduate of West Point and an inductee in the National College Football Hall of Fame for his All-American performance for Army. 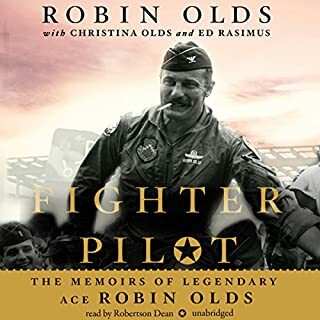 In World War II, Olds quickly became a top fighter pilot and squadron commander by the age of 22—a double ace with twelve aerial victories. But it was in Vietnam where the man became a legend. What made the experience of listening to Fighter Pilot the most enjoyable? The Narrator, Robertson Dean, is excellent! This is the second book I've listened to which he narrated and he is the best. This was an excellent book. 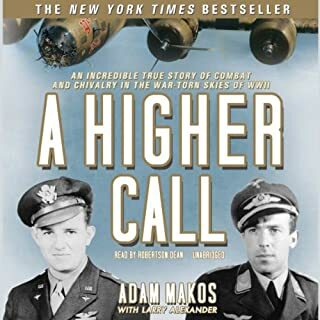 It's a must read for anyone who enjoys military history, [military] aviation, U.S. Army Air Corps, U.S. Air Force, combat aviation, fighter pilots, ect. If you haven't had the pleasure of reading this, do yourself a favor and read it now! PS. Robertson Dean is one of the very best narrators in the business. This audio book is no different. He does a terrific job. Would you listen to Red Platoon again? Why? First off. I accidentally wrote this review for the "Summary of Red Platoon". Since Audible does not allow you to edit it, I had to leave it. 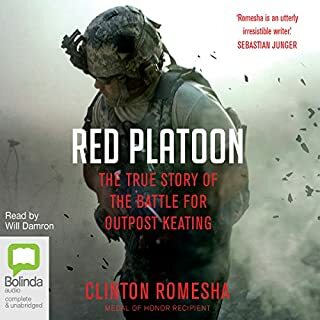 So, if you read the "Summary of Red Platoon", you will see the exact same review. Even though I haven't read it yet! Yes. It was an incredible story and a brutally honest account of the engagement from SSG Romesha and those who were there. What about Will Damron and Clinton Romesha ’s performance did you like? Excellent narration from Will Damron. The narrator can ruin a good book, or make a not so good book better. This was a well written book with an outstanding narrator. Home run! Incredible, engaging, story. Very well written. Very well narrated. Everyone should read about the sacrifices of those who serve to keep us safe. Anyone who served in the Military would appreciate and identify, in some way, this book. When writing a history of someone it's important to tell the good, the bad, and everything in between. This book accomplishes this while providing personal and professional details of these great Generals. Excellent read! Of course, there is no better narrator than Robertson Dean. This is my third audiobook he has read. He is excellent! Very informative and enjoyable read. I recommend it to anyone interested in military history or history in general. Would you consider the audio edition of Zero Footprint to be better than the print version? I have no idea because I didn't read the print version. I buy the audio because I have a long commute to work. 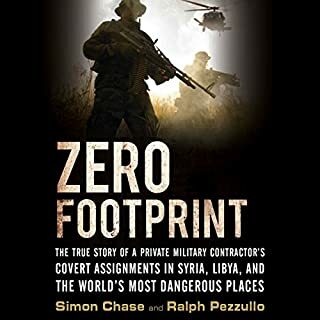 This is an interesting story about the life of a former Tier 1 soldier who became a private security contractor and also worked as a Private Military Contractor (PMC). He tells interesting stories and gives a bit of an insight into the world of the PMC. Would you consider the audio edition of Legend to be better than the print version? I don't know. I haven't read the print version. This book tells the story of an incredibly brave and selfless American. His story is an inspiration to anyone who hears it. It's obvious that MSG Benavidez wanted ALL who served proudly to be recognized. I appreciated this, especially the credit given to the brave helicopter crew members who are often overlooked. Roy Benavidez worked tirelessly to deflect credit upon himself and spotlight others. This is further evidence of what a fine man MSG Roy Benavidez was. What about Fred Sanders’s performance did you like? A good narrator is priceless. Fred Sanders did a terrific job. His imitation of certain figures in the book was very good and added to the story. Some times this is a distraction, but not in this case. I give Mr. Sanders an A+! For me, impossible. It was too long. I listen on the way to work. 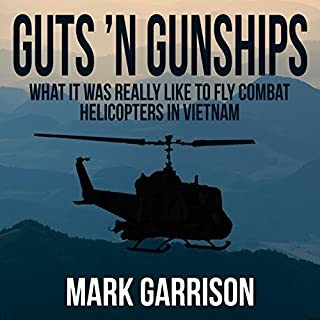 As a Huey and later, Black Hawk crew chief in the '80s and '90s, I had heard plenty of stories about "Slicks" and "Gunships", from guys who were there. I had not heard specifics of their missions and how they operated. Of course, I wouldn't because these guys were humble and didn't bring attention to themselves. This book opened my eyes to the reality of the Helicopter's mission in Vietnam and the brave men who crewed them. Vietnam was so highly politicized, many forget the incredible skill and bravery of the U.S. fighting man who, in most cases, served not because they wanted a military career, but because of a sense of duty. These men were cut from the same cloth as the incredible warriors who fought in WWI, WWII, Korea and the wars of today. I'd love to see a resurgence of books about the Vietnam war without all the political nonsense we've been forced to swallow for the last 40+ years! This book was well written. The story was gripping, terrifying, funny and at times, sad. Eric Martin's narration was spot on and excellent. I'd highly recommend this book to anyone and everyone. Especially those interested in Military history, or U.S. History in general. What was one of the most memorable moments of Guts 'N Gunships? 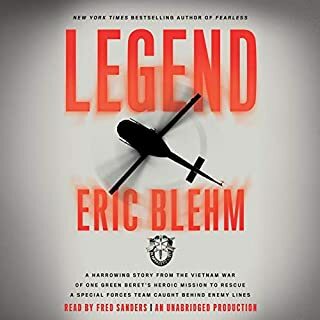 "The Incredible True Story of U.S. Army Helicopter Air Crews in Vietnam." In this illuminating memoir, McChrystal frankly explores the major episodes and controversies of his eventful career. He delves candidly into the intersection of history, leadership, and his own experience to produce a book of enduring value. 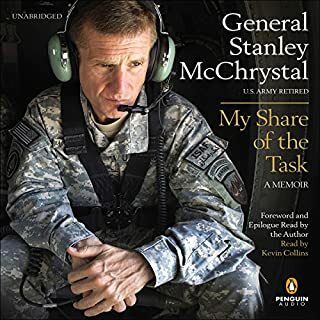 Joining the troubled post-Vietnam army as a young officer, McChrystal witnessed and participated in some of our military’s most difficult struggles. He describes the many outstanding leaders he served with and the handful of bad leaders he learned not to emulate. If you could sum up My Share of the Task in three words, what would they be? Overall, the book was interesting, well written and well narrated. My personal opinion of Gen. McChrystal has no bearing on the quality of the book. That's up to the reader to decide. What about Kevin Collins’s performance did you like? Mr. Collins did an outstanding job of narrating this book. Very professional, emphasis where needed and not overly animated... Great performance! This is tough to answer. Obviously the story about the "encounter" is gripping and extraordinary. I appreciate the author sharing both men's stories. Especially detailing the experiences of Franz Stigler during the war. I suspect Mr. Brown was less open about his experiences and his encounter with a sympathetic German pilot was one the few memories he did not want to forget... Whereas Mr. Stigler seemed more open to share his experiences. Most Americans (myself included) know little or nothing about the German Luftwaffe and it's pilots. Very intriguing. Have you listened to any of Robertson Dean’s other performances before? How does this one compare? I have not listened to any of Robertson Dean's other book performances. However, his performance was so good, any decision to purchase an audiobook would be made much easier knowing he is narrating. Of course, the encounter of Franz Stigler and Charlie Brown in the skies above Germany. I so enjoyed this book, I've listened to it three times. The book was extremely very well written and narrated. What an experience it must have been for Adam Makos to have had the privilege of interviewing both of these fine men! Here are thrilling, never-before-heard stories of the Army's elite aviation unit - the most daring and professional helicopter crews in the world. Special Operations pilots are notoriously reticent; they don't talk about their missions, at least not to anyone outside their small community. 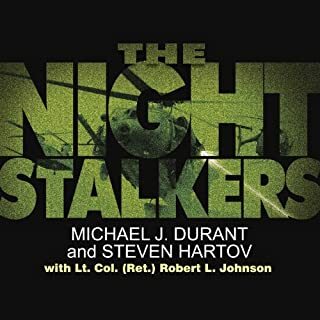 But now, with the publication of The Night Stalkers, Durant and Steven Hartov shed a fascinating light on these mysterious super commandos and take readers into a world they have only imagined. Yes. Because of the story. As far as I know, this is the only book ever written about the 160th SOAR. It tells the story of the unit, how it began, and highlights the bravery and professionalism of the men within it's ranks. He tends to place emphases inappropriately. He is way over animated and almost cartoonish. This is the third book I've read that Patrick Lawlor has narrated. One book was written to appeal to a wide audience and not just the military / history enthusiast. That was okay. The other was written about a Special Forces unit in Iraq. Mr. Lawlor's narration was equally as annoying as this one, but that book was relatively short... 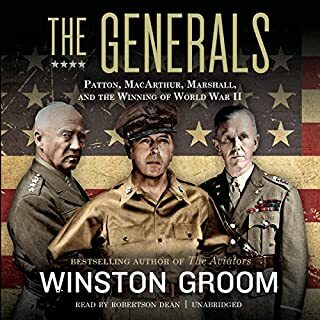 Being a former Army Aviator myself, it's difficult to make my way through the audible version of this book. The book itself is very good.